There are certainly two ways the company’s next decision could go, as Facebook’s ‘Dislike’ button could get a big thumbs down itself, considering it might just be the double edged sword to cut through poster’s confidence. It has been long requested though, so the social media network is reportedly working on it. 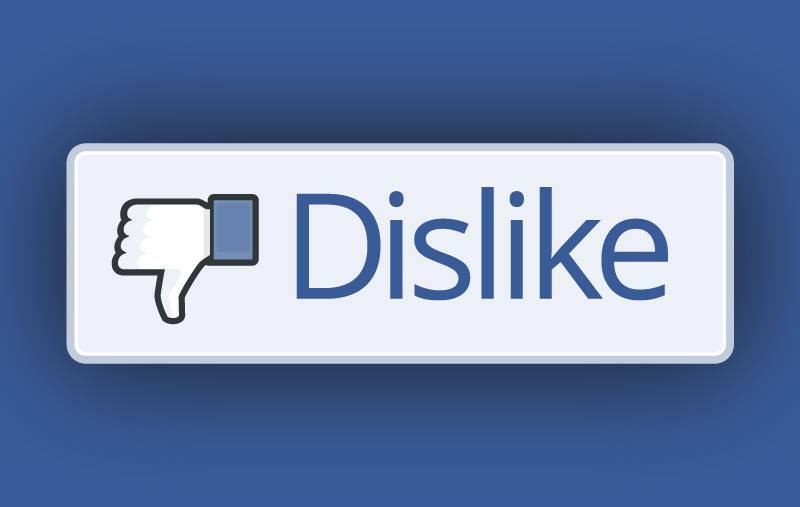 According to CEO Mark Zuckerberg, “people have asked about the ‘dislike’ button for many years”, which has led to their recent announcement that some form of the thumbs down will soon be introduced as an option on your accounts. However, it’s not completely certain that it will be called a ‘dislike’ button for the sake of avoiding the negative connotations. It may be the tool for disaster, and an incentive to start vicious passive-aggressive arguments, but that’s not how Facebook means it. Instead, the social media giant intends on the new button to be used as a means of showing empathy, a way of saying ‘I’m sorry’, ‘I hear that’, or ‘I understand’ without actually filling their posts with three-word phrases. This is their solution to one of the problems that arise from people posting bad news or tragic incidents on their pages that further appear on your News Feed. Saying nothing would be considered disrespectful for some, and hitting the ‘Like’ button might appear inappropriate. Certainly, no one would publically approve of someone’s sadness or grief. However, some might interpret their ‘likes’ differently, which is where the debate might be oddly similar when it comes to its opposite counterpart, the upcoming ‘Dislike’ button. In spite of Facebook’s intentions of using it as a tool for expressing sympathy, there are 1.4 billion users currently on the social media, and interpretations will certainly vary. Opinions are already different on the subject, with some finding it a refreshing new way to digitally express support without elaborating, while others speculating this will only spark debates and begin weighing the relevance of a post between ‘Likes’ and ‘Dislikes’. It will be difficult to tell when it will be appropriate to use it. A political opinion might be considered as ‘rejected’ if met with numerous presses of the ‘Dislike’ button as opposed to a simple disagreement . The line might likely be drawn differently among users, with some choosing to interpret in the worst possible way, while others perhaps not finding themselves discouraged by receiving a thumbs down. Regardless of intent and the way it will be interpreted, the ‘Dislike’ button will most likely have a dramatic impact on the social media website, but it does seem like an inevitable progress for a service seeking to provide its users everything under the sun.